Why Buy from Royal Cadillac of Tucson? Step into a world of luxury when you buy or lease a new, used or Certified Pre-Owned Cadillac from our Cadillac dealership in Tucson, AZ. Our Cadillac experts are dedicated to providing you with the kind of car-buying experience you deserve, which is why you'll enjoy our straightforward approach to the car-buying or -leasing process. We work hard to ensure that our prices are fair and competitive, ensuring that you can upgrade your driving experience in a first-class vehicle at a price you can be happy about. Our inventory is filled with some of the most popular new Cadillac models, including the new Cadillac ATS, Cadillac CT6 and the capacious Cadillac Escalade SUV. From the moment you open the door to one of these luxurious vehicles, you'll never want the journey to end. Whether you're tackling your familiar commute or exploring backroads, you'll be doing so in comfort from behind the wheel of your Cadillac. Plus, we offer a guarantee on all new Cadillac models so that if you aren't 100% satisfied with your purchase you can return it, no questions asked. Stop by Royal Cadillac of Tucson to buy or lease the Cadillac you've been dreaming about. 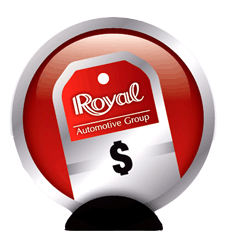 Why You Should Buy from Royal Cadillac of Tucson? "I want to be offered a fair, out-the-door price upfront…"
We know that automotive financing is not something that’s easy to understand, which is why our Cadillac financing experts offer clear financing options. They will calculate your out-the-door price within minutes and hand you a computer printout showing exactly how much you can expect to pay for the vehicle when you drive off the lot. Not only will this printout show your cash option, but it will also outline nine different financing choices for you as well. Royal Cadillac has a long-standing relationship with many major lenders, so we can help you finance the new or used Cadillac you want at a price you love. "I'm worried about the potential cost of maintenance down the road. What if my car breaks down unexpectedly…"
Your new or new-to-you Cadillac was designed to run well for many years to come, but to give you added peace of mind, we offer a Warranty Forever on all qualifying vehicles. 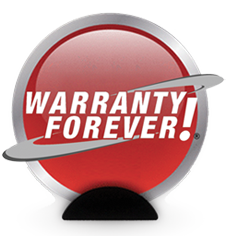 This includes a Lifetime Powertrain Warranty at NO COST, so you don't need to worry about paying extra for perks that should come standard. Plus, every Cadillac we sell undergoes an inspection to ensure that it holds up to our rigorous standards, allowing you to always buy with confidence from Royal Cadillac. "I want a Cadillac sales expert who will be honest with me, and not just try to sell me an expensive car…"
The Cadillac sales experts at our dealership are here to do one job – match you with the luxury sedan or SUV that perfectly complements your personality and lifestyle. Our sales staffers are paid based on customer satisfaction and volume, so they'll take the time needed to get to know you and find the luxury vehicle that you'll be happy with. We'll provide you with several non-bias options and outline the different amenities available in each so that you can make a confident decision. "I'm concerned I won't 100% love the model that I end up buying or leasing…"
If you don't 100% love the Cadillac that you buy or lease from us, you can bring it back to Royal Cadillac and return it within 72 hours or 300 miles of your purchase. This return will be met with no questions asked, so you can come back to us for any reason, or no reason at all. Then, our staff of sales experts will work on finding you a new or pre-owned Cadillac that you'll be completely satisfied with. "I want to know for sure that I'm paying a fair price for what I'm buying…"
We want you to upgrade your daily drives from behind the wheel of a luxury Cadillac at a price you can be happy about, which is why we post our fair, competitive prices right up front. 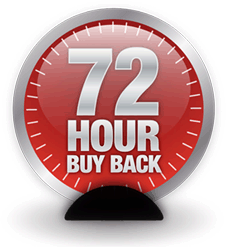 This way, our customers can see what we're offering 24 hours a day. These prices aren't part of a special; they're just how we do business. 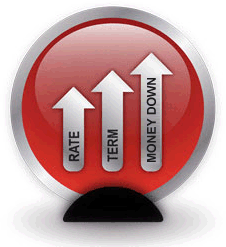 We research the competition and market values every day so that our prices can be adjusted – we have nothing to hide. As you peruse the inventory on our lot, you'll find that each vehicle is clearly marked with a pre-discounted price. Whether you'd like a Cadillac ATS or Escalade, you'll know what you'll be paying from the moment you check out the car. By doing business this way, we ensure that all of our customers have equal opportunity to save big, not just the select few who are master negotiators. "I want to trade in my car to Royal Cadillac, but I don't know if I'm ready to buy a luxury vehicle…"
If you'd like to trade in your current vehicle, come talk to us. We'll provide a written same-day offer that's valid for seven days or 300 miles, regardless of if you decide to buy or lease a new or used Cadillac from our dealership. 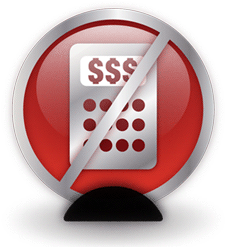 Plus, the price we offer is based on market research to ensure that it's fair. 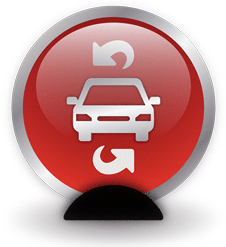 CAUTION: Other dealerships may offer high prices for your trade-in that seem too good to be true. When this happens, they often inflate their prices in other areas to make up for it. You don't need to worry about that kind of mark-up when you shop at Royal Cadillac. We provide the transparency needed so that you can always shop here with confidence. No matter what you decide to do, we'll never pressure you one way or another. Visit Royal Cadillac to enjoy a stress-free car-buying experience. 272 hours begins at 8pm of the date the vehicle was purchased. Customer is responsible for any excess wear or mileage put on the vehicle. See dealer for complete details.